The steps below work to update a few phone numbers manually. If you need to update many phone numbers, the API can be used to perform a bulk update. 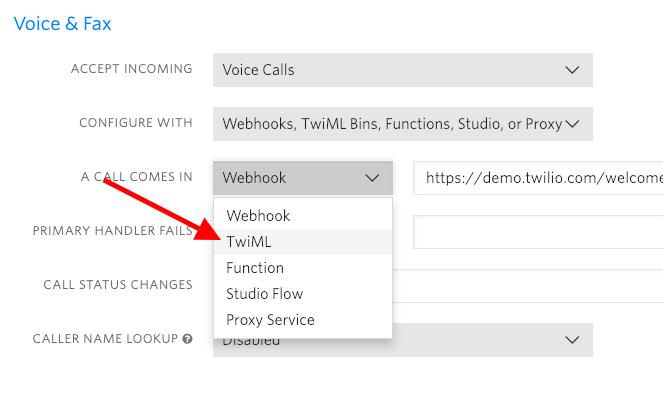 If you already own landlines and wish to use those same phone numbers for SMS, Twilio currently offers Hosted SMS as a developer preview service. More information here. 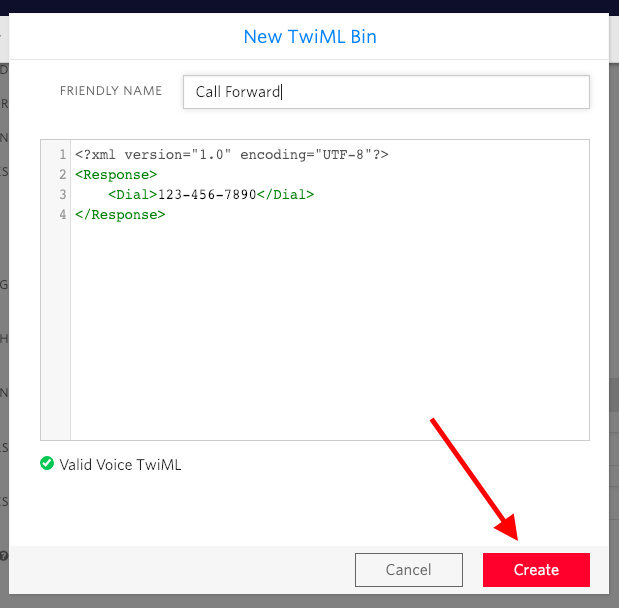 Twilio for Salesforce currently offers only SMS messaging, but you can still configure Twilio to forward phone calls to your mobile or desk phone. For example, if you're texting with a contact in Salesforce and they request a phone call, call forwarding allows your contact to call the number they've been texting with and connect to your phone. Step 1: Go to the phone numbers page in the Twilio Console. Step 2: Find any numbers that are associated with your messaging service and click on them to configure. Step 3: Under the "Voice & Fax" section, select TwiML as the option for "When a call comes in". Step 4: Click on the red "+" button to create a new TwiML Bin. Step 5: Enter the following snippet in the TwiML editor. Replace the phone number with the number you wish to connect to. Click "Create".